Home to tallest towers in the world, rents in Dubai’s skyscrapers remain six and three times cheaper than Hong Kong and London, according to Knight Frank’s Skyscraper Index. 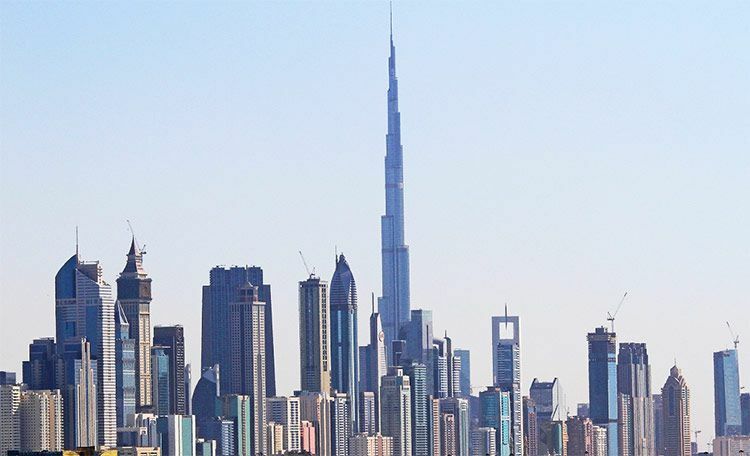 The report, released in April, revealed that rents in tall towers in the emirate stand at $43.50 (Dh159.65) per square feet compared to $263.25 (Dh966.13) square feet in Hong Kong and $126 (Dh462.42) square feet in London. Even the UK-based consultancy’s Wealth Report 2016 placed Dubai fifth in the list of “global cities that matter”, making it an important hub for wealthy individuals. The emirate, placed eighth in 2015 survey, has outperformed major cities such as Shanghai, Paris and Sydney. The geographical location of the emirate makes it accessible to 1,500 ultra-high net worth individuals within a two-hour flight. “Over the last decade, Dubai’s economy has evolved significantly on the back of modern infrastructure and business-friendly regulations,” said Dana Salbak, Head of Mena Research at Knight Frank. However, the first quarter prime global rental index, released on June 30, 2016, fell for a third consecutive quarter with rents falling on average by 0.5 per cent in the year to March 2016. Dubai, which topped the chart in 2012 to 2013, does not feature in the costliest cities list, which means the rentals are far more affordable than global cities. Global and local consultancies had estimated rentals to fall by up to 10 per cent in 2016. Of the 17 cities tracked by the index globally, 11 have recorded flat or falling prime rents over the last 12 months. Toronto topped the rankings with rents rising by 8.9 per cent, driven by strong demand for prime rental properties and a low vacancy rate for condominium apartments. This is despite completions nearing historic highs, which would usually mean an increase in rental supply and downward pressure on prime rents. Prime rents in Nairobi declined by 7.9 per cent in the 12 months to March due to rising demand from expatriates. In London, the index saw prime rental growth slow to a negative one per cent in the year to March 2016, the lowest annual rate since May 2014. However, the total rental yield, which is a combination of capital growth and rental yield, was 3.7 per cent in the year to March, outperforming benchmark hedge fund and stock market indices. North America remains the best performing region with average prime rents increasing by 3.3 per cent in the year to March. Africa has displaced Europe as weakest-performing region with rents falling on average by 3.2 per cent annually, the index found.